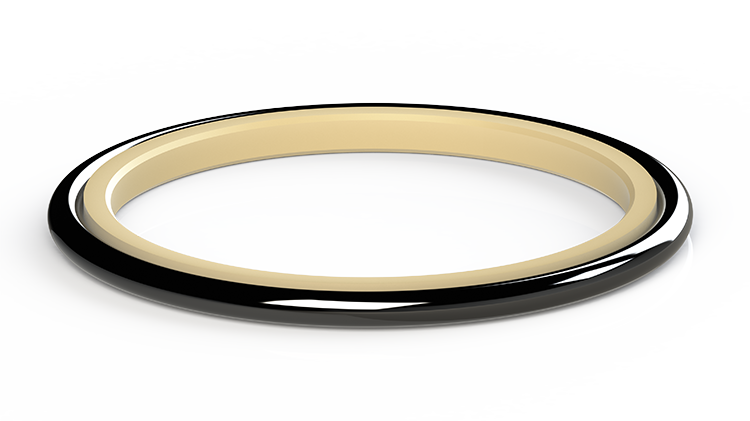 Seal Ring - Eclipse Engineering, Inc.
Eclipse O-Ring energized seal rings are a very simple design consisting of a machined seal element energized by an elastomer. Available in rod and piston configurations, Eclipse Seal Rings offer a bi-directional seal solution with a small axial footprint. The seal element is thin enough to be manipulated and installed in a solid groove, but stout enough to ensure long life and pressure performance up to 5,000psi (35MPa). This configuration is especially useful in cylinders requiring smooth, low friction operation. As such, Eclipse Seal Rings should only be considered for reciprocating service.